Learn how to repair corrupted SMI SM3257en usb flash drive .Download Sm3257en SMI MPTool v2.03.37 and fix SM3257en chip controller with low level format software . 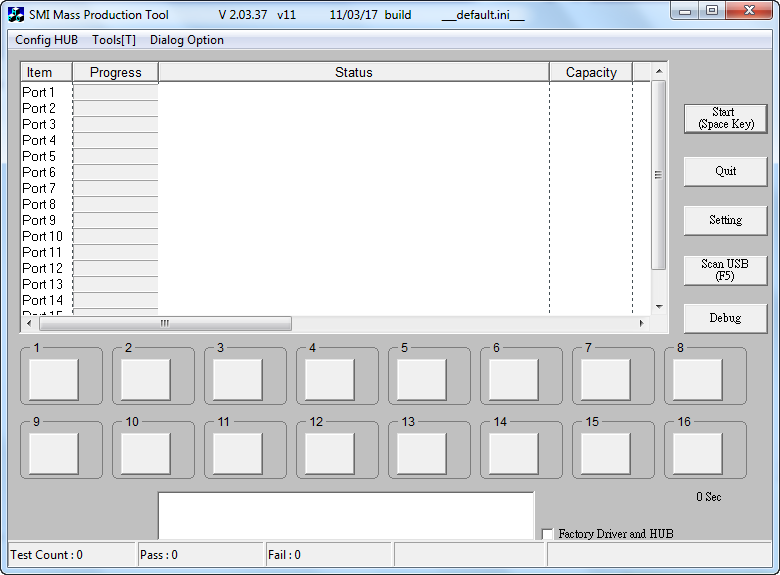 SMI Mass Production Tool V2.03.07 V11 is designed to repair corrupted SMI chip controllers with chip vendor SM3257EN .Sm3257en SMI MPTool v2.03.37 software can fix format problems such as windows unable to format disk , write protection problems, please insert disk error message and flash capacity is less than the actual size may be you found it 8MB or 15 MB . Download Sm3257en SMI MPTool v2.03.37 V11 from the download links below . Insert corrupted SM3257en USB flash disk to your PC . 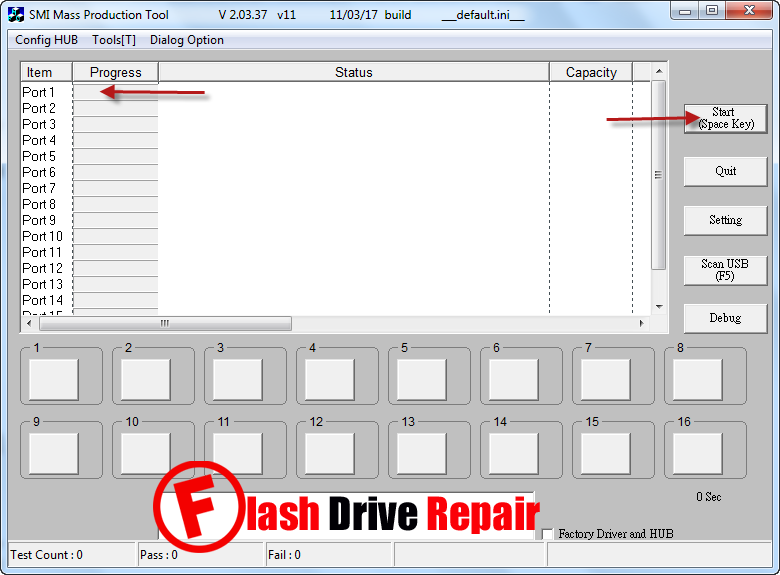 Extract zipped folder then open sm32Xtest.exe , if your flash drive chip controller is supported by the software , you will see flash information appears on software interface . Click Start to begin firmware update and format your flash disk . Wait until finish reformatting process . Hello there, I've tried above method and i guess, it didn't worked for me. I have searched the name on this flash drive but i think its not there. I will text the complete details which is on flash drive. I have "MacBook Air Software Reinstall Drive. Mac OS X v10.6 iLife'11. Model A1384 607-8240 © 2011 Apple Inc. Not for separate resale." Please help me, i clik menu "Tools" > "Multiple Erase All"
My flash drive be empty or no media.